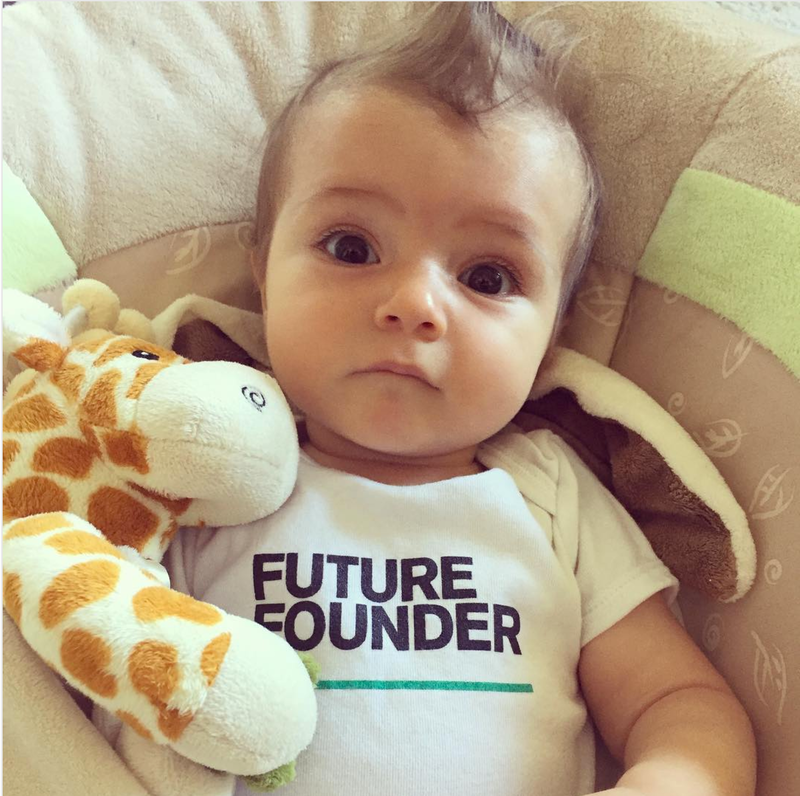 What does it take to leave a career in venture capital to join a shipping startup—in between your first baby and second baby? Today we get to interview Renee DiResta, co-founder and Director of Marketing at Haven. How did you help create Haven? 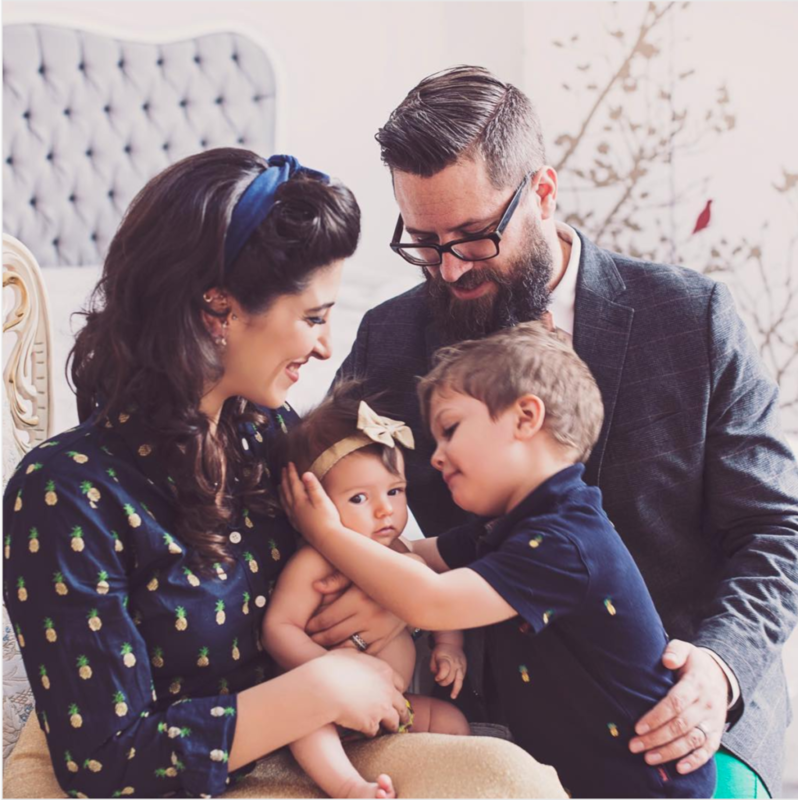 RENEE: I met Matt and Jeff (my cofounders) while I was on maternity leave with my first, a little over three years ago. We were all interested in the same idea – we wanted to create a company that would make world trade easier. I was at O’Reilly AlphaTech Ventures (OATV) at the time, and I spent a lot of time researching the feasibility of this idea. After we did our seed round, I left venture capital and joined Haven as the first employee. Joining a startup before we raised money would have been impossible, because I had a young baby. I needed a salary and health insurance, since daycare was $2500/month. What did your work look like when you had your first baby? When I was a Principal at OATV, I had a lot of flexibility in my schedule. As long as I was meeting enough people, writing, going to conferences, and speaking, I set my own schedule. At that point, I had been in venture capital for about two years, and established myself as someone who was self-directed. I was 32 when my first child was born, and the bigger adjustments for me were sleep deprivation, pumping, and the physical things that come along with having a baby. I didn’t know what to expect, as I had never been around babies, none of my friends had kids, and I didn’t come from a big family. During pregnancy, I was really focused on not being treated any differently. I was in China at 25 weeks pregnant, and I was in Turkey on the last day the airlines allowed me to fly (36 weeks). I had done a career change from Wall Street to Venture Capital two years earlier, so it was important to me not to feel like I was slowing down. 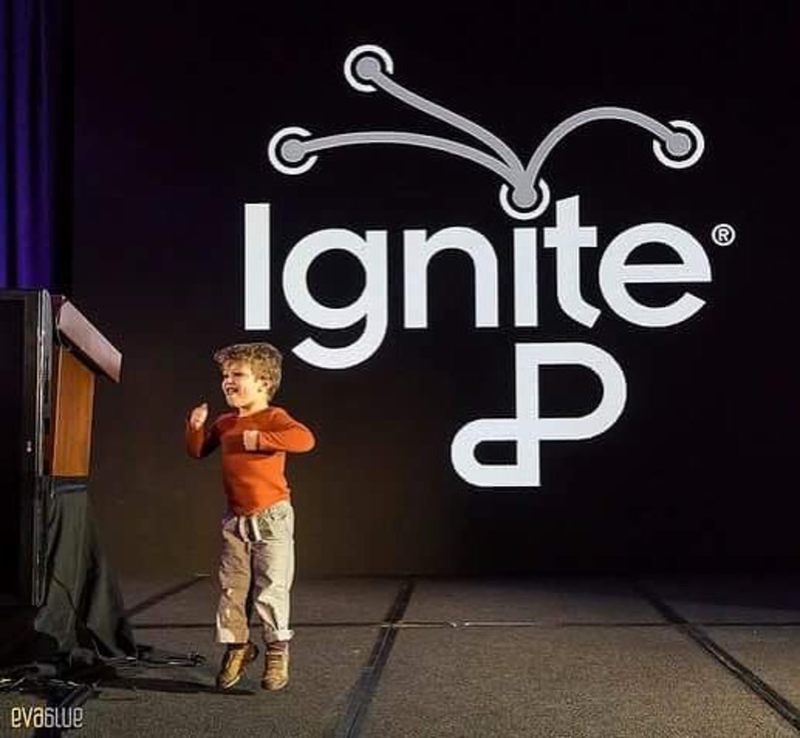 While pregnant, I kept wondering about the identity shift that I would experience, i.e., I was somebody who felt capable of doing anything at anytime and I was now worried how sleep deprivation would limit me, if I could take my baby to conferences, or if I would even still get invited to conferences. I didn’t want people to change how they related to me and I didn’t want to be perceived any differently. Because I have always worked in male-dominated industries (computer science, Wall Street, venture capital), I always felt like the guys had it a bit easier from a “personal brand” perspective, for example, they could put things like “Dad” in their twitter bio, or when they gave talks, they could bring their kids up. I felt like if I put “Mom” in my bio, it would evoke the idea of a soccer mom, stay-at-home-mom, and that’s not how I wanted to define myself professionally. Do you use the word “mom” in any of your bios? I allude to being married and having kids on the “About” section of my website, but in my 140-character bio, I don’t. Did you have a maternity policy in place when you got pregnant with your second child? I developed a lot of the maternity policy at Haven. We have many women in the company, it’s close to half, but mine was the first pregnancy. With my second child, I started packing on weight right away. At around 12 weeks I thought it was pretty obvious so I pulled Matt aside and said “I’m pregnant and this is my due date and I guess it’s time to come up with a maternity policy.” He encouraged me to develop the policy for Haven. I wanted to come up with something that was fair and equitable given our stage, our financials, and how much money we had raised. I looked at some public data from other tech companies and ended up going for twelve paid weeks. Some startups were doing eight weeks and others like Facebook and Google were doing four to five months; twelve weeks felt like a good compromise. That’s how much I took with my first child at OATV. Was there more flexibility in the policy? Did you need it or want it? I didn’t need more flexibility, as I knew I would be back after 12 weeks. The experience is different for everyone, of course. Some people really want 6 months of time. Maybe this makes me sound like a workaholic, but I enjoyed working a bit during leave. As long as I was setting boundaries or expectations as appropriate, I felt like I could have my cake and eat it too. It was really nice to get some mental stimulation alongside doing laundry, making dinner, and nursing a baby. Did you work while you were on maternity leave with your first as well? I wrote a book when I was home on leave with my first. I signed the contract right around the time I found out I was pregnant. I figured I could get the book done by writing at night before the baby arrived. Naive! I felt sick for the first three months, and all I did at night was lie in bed with lemonade. I watched a lot of Law and Order. During the second trimester, I was phenomenally energized, and I got a ton of writing done. But once I got to the third trimester, I felt unwell again. That’s when I decided that I would do the majority of the writing during my leave, as I’d heard that babies “sleep a lot” and I had three months off. Of course that was a total myth and caring for a newborn was hard work. My baby never slept and wanted to nurse every 45 minutes (i.e., he wouldn’t take a pacifier, he wouldn’t stay napping, sometimes the swing worked, sometimes it didn’t work). He was a “spirited” baby (our pediatrician’s kind term), and I felt the sleep deprivation of having a voracious nurser. I basically had to start handing him off to my husband so that I could get writing time in. What advice would you give women who are thinking about becoming pregnant? It’s so hard to know what it’s going to be like until it happens, so roll with it. During my first pregnancy I described it to a friend as a collection set of symptoms to be endured. Not exactly a miracle-of-life attitude, but it was honest. There were a million things I still wanted to get done, but small annoyances made life just a bit more difficult. When I was in China I had sciatica and it was hard to walk. For the first time in my life, I went to a chiropractor. I thought to myself that I had to “power through” because it could be worse. Some people experience really serious complications, and feeling like mine were minor in comparison kept me chugging along. My second child was a girl, and my pregnancy was more difficult with her. I had morning sickness for 23 or 24 weeks with her, instead of 12. I had read the old wives’ tale that the physical experience is different with girl babies. That was true for me, as I had a lot more nausea with her, as well as a lot more weight gain. What do you tell your male friends about being pregnant? My husband was great, he just kind of rolled with it and accommodated anything that needed to be accommodated. During my second pregnancy, the only things I wanted were vinegar and lemon juice, so my husband was occasionally running out to pick up a jar of pickles or a squeeze bottle of lemons. I would tell my male colleagues: “I’m pretty uncomfortable right now” when I was, because I got crabby. This was especially true during the third trimester, as I felt so big and heavy. I’ve never been a very patient person, and with X hours of energy in a day and Y things that I needed to get done, I had even less patience. I was never sad or depressed during either pregnancy, but I definitely had a lot more irritation. I tried really hard to make sure I wasn’t being unfair, and to make sure my colleagues realized that my occasional curt responses were because I didn’t feel particularly great at the moment. 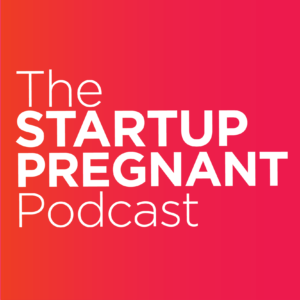 Do you think pregnant women are a great match for startups? And why or why not? Parents are experts at multitasking. Think about it. All the things parents did before kids, you still have to do after you have them (buying groceries, toothpaste, paying bills). As a parent you learn to recognize what actually needs your attention versus what you can delegate versus what you can let slip. For example, maybe you choose not to clean the house if a cleaning helper is not in your budget, and you accept that your living room is going to be messy for the time being. Parents also become really good at working in intense, focused spurts, as opposed to long sustained chunks of time. I’m working from home today and my little girl is next to me right now as we’re doing this interview. There isn’t a lot that I can’t do even with her right here (I can still type, I can still write). We sit here, we make faces, and when she naps, I knock out a whole bunch of stuff at once. Parents with office jobs know that the work day doesn’t have to be 9-5 specifically. It’s more a matter of asking: have I devoted enough hours to accomplishing everything I need to accomplish and am I spending enough time with my family? Startups don’t necessarily need full-time employees, all of the time. I work with contractors occasionally, for jobs where we don’t need a full-time employee yet. I’ve seen a lot of new moms on a San Francisco Mommy Group saying they’d love to do some consulting work to feel fresh during their maternity leave. They do great work, and it’s a great talent pool you might not normally tap. Recently, I hired a copywriter contractor at Haven and she was on maternity leave with twins. I didn’t care if she worked at 2AM or 4PM. 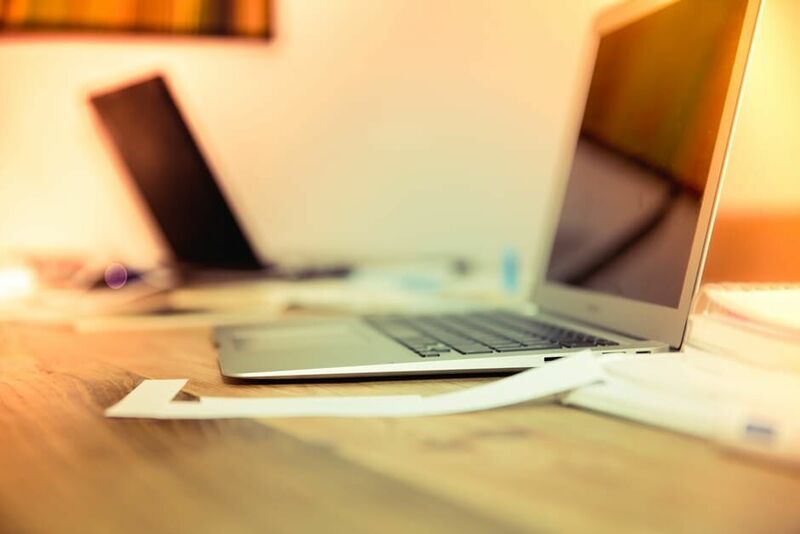 Given things like Slack, email, Skype, and video conferencing, there are ways to make it work, more now than ever. Research shows that women are heading into entrepreneurship at greater numbers as a means of having more control over their lives, schedules, and finances. Have you seen this to be true in your world? There are still far fewer female founders than male founders in high-tech companies in Silicon Valley. But “entrepreneurship” also includes small businesses, and that means a lot of things. If you think of small business as your local bakery, Etsy shop, consulting practices, design studios, then there are plenty of women who are building businesses for themselves without necessarily trying to start the next multi-billion dollar technology company. I really love feeling like I’m making a tangible impact on the problems I care about. I work at a startup because I’m stimulated and challenged by the problem we’re solving. I also really care about my side projects (a lot of political advocacy work and research), so when the kids are in bed and Haven work is done, I get into that stuff. I also try to have breakfast with people a few times per week to keep up with what friends and colleagues are doing since it’s harder to get out at night. I also think it’s important for my kids to see my work, and to integrate them into that aspect of my life. When I was on maternity leave, my baby daughter came to breakfast meetups with me pretty regularly – she slept on my chest in the baby carrier. There would have been no way for me to go without her. I was pleasantly surprised that no one was bothered by a baby – the opposite, actually. It was such a different experience from being relatively isolated in the house for three months with my son. Recently, I gave a talk and both my kids came. The venue arranged childcare for my toddler, and the baby was with my husband in the audience. Having her with me was easier in a way, as I didn’t have to pump, I didn’t have to find a babysitter, and my son got a night out and then came in at the very end and got to see mommy talk. My kids are around me whenever they can be. My son knows I go to work and he likes to “pick me up at the office” whenever his preschool does half days. He shows up and tells people that he and his dad are taking me out to dinner. Renee DiResta has worked in quantitative finance, as a venture capitalist, and currently is a Founder / Director of Marketing at Haven, a logistics tech startup. She graduated with a degree in Computer Science and Political Science from Stony Brook University. She lives with her son, daughter, and husband in San Francisco. ABOUT THIS SERIES: This essay is part of the Startup Pregnant Interview Series asking women (and men) about what it means to birth new businesses, grow in leadership at work, and bring new people into the world. These interviews seek out the personal details as a way to inspire new thinking about what it means to be pregnant, to go through physical and emotional transformations, what it means to be your most creative self, and how that influences work as we understand it today. Outdated cultural thinking about what work looks like and traditional gender roles leave both men and women tired and searching for a different kind of meaning.